DC’s Legends of Tomorrow Season 2, Rogue Season 4 and Timeless Season 1 start filming in Vancouver and British Columbia this week. 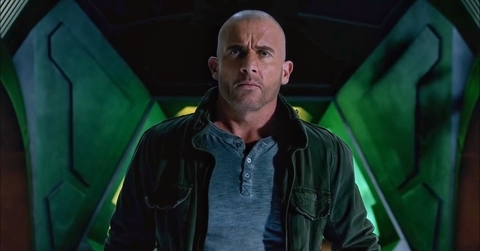 After a decent performance in its freshman year, DC’s Legends of Tomorrow was renewed for season 2 back in March. The cast lineup for season 2 will look slightly different after the departure of Ciara Renée (aka Kendra/Hawkgirl), Falk Hentschel (aka Carter/Hawkman) and Casper Crump (aka Vandal Savage). And sadly, we won’t see as much of Wentworth Miller (aka Leonard Snart/Captain Cold) during season 2 as his time will be shared across the entire DC superhero TV universe, which is conveniently all filmed here in Vancouver. Miller is in town as of today, but we’re not sure which show he’s filming at the moment. Earlier this month he and Dominic Purcell (who plays Mick Rory/Heatwave) finished filming the Prison Break reboot here in Vancouver. Legends of Tomorrow season 2 will also have some new faces. Nick Zano (Minority Report, The Final Destination) has signed on to play Nate Heywood (aka Citizen Steel) and Maisie Richardson-Sellers (Star Wars: The Force Awakens, The Originals) will portray Amaya Jiwe (aka Vixen). We also can’t forget that Suits star Patrick J. Adams was introduced as Rex Tyler (aka Hourman) from the Justice Society of America during last season’s finale. Not much has been confirmed for the season 2 storyline so far, however, showrunner Marc Guggenheim shared some cryptic tweets that hint at some of the timelines the team will be visiting. The first of which is an image of what appears to be the Waverider landing in the Egyptian desert between 2 pyramids. The second image he shared looks like a scene from the Elizabethan era. Lastly, Guggenheim also shared a photo of one of the sets at their studio… it leaves lots to the imagination. Legends of Tomorrow season 2 will be filming in Vancouver and British Columbia until January 10th, 2017. 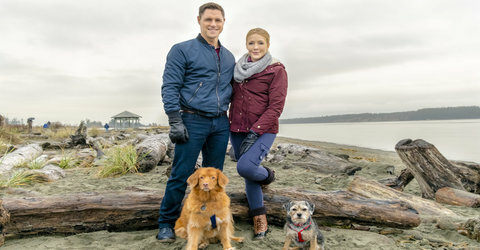 The first episode, titled “Out of Time” starts filming today in their studio and will premiere on Thursday, October 13th at 8pm on The CW in the US and CTV 2 in Canada. After moving to Toronto for season 3, DirecTV’s Rogue is back in Vancouver to start filming season 4 this week. Production will kick off at Vancouver’s Gotham Steakhouse on the morning of Monday, July 18th. Rogue is an action packed police drama set in the dark criminal underworld of Oakland, California. The series stars Ashley Greene (Twilight Saga), Cole Hauser (Good Will Hunting), Derek Luke (Captain America: The First Avenger), Sarah Carter (Falling Skies), Sergio Di Zio (Flashpoint), Richard Schiff (The West Wing) and Vancouver’s own Sarah Jeffery (Descendants). Rogue will be filming in Vancouver and British Columbia until October 19th. 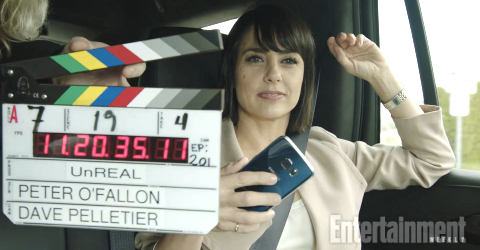 After filming its pilot in Vancouver from March 13th to April 2nd of this year, Timeless returns to start production on its first season this week. The series stars Matt Lanter (90210) and Abigail Spencer (Suits, Rectify), Paterson Joseph (The Leftovers), Malcolm Barrett (Better Off Tedd) and Sakina Jaffrey (House of Cards). Check out this article for more details about the show including a trailer of footage from the pilot. Timeless will be filming in Vancouver and British Columbia until December 15th and will premiere Monday, October 3rd at 10pm on NBC in the US and Global in Canada. If you see any of these productions, including Legends of Tomorrow Season 2 filming in Vancouver and British Columbia, be sure to let us know by tweeting us (@WhatsFilming) or via our Submit a Location page.